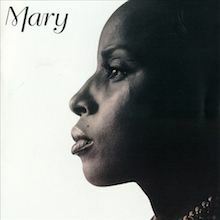 Initially compared for vocal power to Chaka Khan and Anita Baker, Mary J proved to be a phenomenon in her own right. What’s the 411? Remix was one of the first albums to get that treatment but few were prepared for the sensational direction of My Life, a no-holds barred account of depression, addiction and living in an abusive relationship in places but also a set that embraces gold standard soul samples (Al Green, Curtis Mayfield, Roy Ayers) and covers of tracks by Carole King and Norman Whitfield. That seamless blend had wide appeal and by the end of 1995 it had sold in excess of three million copies and won the Billboard Music Award for Top R&B album. 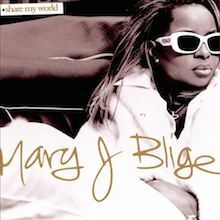 Three years later Mary was ready to unload Share My World, a disc that employs a cast of stellar producers – Rodney Jerkins, jam & Lewis, R/ Kelly et al – but isn’t swamped by technicalities. Yet again Blige emerges with music rather than mere sound and accentuates her fashion and image so you get the whole picture. The stand out cuts include “Love Is All We Need”, “I Can Love”, “Missing You” and “Seven Days”, the latter containing a great guitar solo from George Benson. Immediate, warm and potent this album is a fine way to discover Mary. No More Drama and Love & Life, where MJ worked with Dre and also reunited in somewhat stormy fashion with P Diddy, kept her at the top and heralded her true crossover period. By 2004 Blige was teaming with a bewildering number of artists – Sting, Common, The Black Eyed Peas. The Breakthrough is equally eclectic but it’s the truly soulful and straightforward “Be Without You” that drops the bomb. A double Grammy winner and the third highest single peak of her career, following “Family Affair” and “Not Gon’ Cry”, this is Blige at her most romantic and confessional. The therapeutic nature of that album is matched by Growing Pains: more dramas, more fessing, and more strength through adversity, everything she does best. Available with bonus tracks (iTunes editions) including a startling cover of Todd Rundgren’s “Hello It’s Me”, produced by Mark Ronson, this album is totally ready for discovery. The Pharrell Williams/Neptunes cut “’Till the Morning” is the sleeper here and don’t forget to check Maroon 5’s “Wake Up Call” where Mary Jane makes a guest appearance on a remix. Stronger with Each Tear features a duet with Canadian rapper Drake on “The One” and Trey Songz features on the witty “We Got Hood Love”. Making her fan base go whaa! Mary also covered the Led Zeppelin chestnuts, “Stairway to Heaven” and “Whole Lotta Love” and the International edition returned her to the top in the US and to #4 in the UK. My Life 11…The Journey Continues (Act 1) was an attempt to keep in touch with her fan base even as her star soared into the mainstream, hence her festive A Mary Christmas (2013) where producer David Foster teams her with Barbra Streisand, The Clark Sisters and Jessie J on a bunch of Yuletide log warmers. So to the London Sessions, recorded at RAK studios near Regent’s Park and involving a bunch of different noise – grime, deep house and even a trip to the UK garage. Both Blige and her producer Rodney Jerkins felt a transfusion was in order and they soaked themselves in the scene, working with Sam Smith, Emeli Sandé, the Disclosure boys et al.. Very much a melting pot event the infusion of clubbable piano ballads up her game and won rave reviews. With My Life 11…The Journey Continues (Act 2) on the schedule MJB shows no signs of resting on her laurels. If for her music is therapy, her life played out in public, then we’re enjoying the invitation to take the long hard look and ease the doubt. She doesn’t hold anything back and that is another reason why we are much obliged to Mary J. Blige. 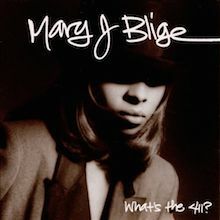 Mary J. Blige - What’s the 411? 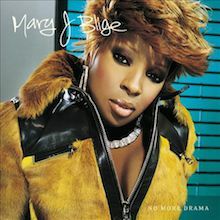 With this cutting-edge debut, Mary J. Blige became the reigning queen of her own hybrid category: hip-hop soul. The eloquence and evocativeness that comes through in her voice, could be neither borrowed nor fabricated, making What's the 411? one of the decade's most explosive, coming-out displays of pure singing prowess. "Real Love" and the gospel-thrusted "Sweet Thing" (the primary reason for all her Chaka Kahn comparisons) are and will remain timeless slices of soul even after their trendiness has worn off, and "You Remind Me" and the duet with Jodeci's K-Ci ("I Don't Want to Do Anything") are nearly as affecting in their own right. It's nevertheless unclear how much of the hip-hop swagger in her soul was a genuine expression of Blige's own vision or that of her admittedly fine collaborators (Svengali Sean "Puffy" Combs, R&B producers Dave Hall and DeVante Swing, rap beatsmith Tony Dofat, rapper Grand Puba). Certainly the singer comes across as street-savvy and tough -- "real," in the lingo of the day -- and even tries her hand at rhyming on the title track, but never again would her records lean this heavily on the sonic tricks of the rap trade. In retrospect, it is easier to place the album into the context of her career and, as such, to pinpoint the occasions when it runs wide of the rails. For instance, the synthesizer-heavy backdrops ("Reminisce," "Love No Limit") are sometimes flatter or more plastic than either the songs or Blige's passionate performances deserve, while the answering-machine skits, much-copied in the wake of What's the 411?, haven't worn well as either stand-alone tracks or conceptual segues. In fact, those who prefer their soul more stirring, heart-on-sleeve, or close to the bone would likely find her fluid, powerfully vulnerable next recording (My Life) or one of the consistently strong subsequent efforts that followed it more to their liking. For broad appeal and historical importance, though, What's the 411? is an inarguably paramount and trailblazing achievement. At the end of 2005, Mary J. Blige's career was supposed to be anthologized. The singer had her way, however, and one of her best studio albums came out instead. In retrospect, her previous album, 2003's Love & Life, was awkward; the P. Diddy collaborations, likely intended to recapture the magic the duo put together on What's the 411? and My Life, didn't always pay off, and Blige was about to become a wife, so the songs steeped in heartbreak and disappointment weren't delivered with as much power as they had been in the past. The Breakthrough also contains some of the drama that fans expect, despite Blige's continued happiness, but it's clear that she has gained enough distance from the uglier parts of her past that she can inhabit them and, once again, deliver those songs. The past does play a significant role in the album, as in "Baggage," where she apologies to her husband for bringing it into their relationship. "Father in You" sounds like a note-perfect facsimile of a classic soul ballad, rising and falling and twisting with a sensitive string arrangement, but the lyrics are pure Blige, acknowledging the ways in which her husband has made up for the absence of her father. On the nearly anthemic "Good Woman Down," she sees a less matured version of herself in young women and uses her experiences to advise. She jacks the beat from the Game's "Hate It or Love It" for "MJB da MVP," where she reflects on her career, thanks her supporters, and reasserts her rightful position as the soul hip-hop queen. It's one of several tracks to beam with a kind of contentment and confidence that Blige has never before possessed. Take "Can't Hide from Love," where she's such a force that Jay-Z dishes out a quick introduction and knows to stay out of the way for the remainder of the track, or the glorious "I Found My Everything," her "(You Make Me Feel Like) A Natural Woman." Beat for beat, the album features the best round of productions Blige has been handed since the mid-'90s. Apart from only a couple lukewarm tracks and a poorly recorded version of "One" with U2, it is completely correct. Mary J. Blige had a productive 2014. Early in the year, she linked with Disclosure for an alternate version of the U.K. duo's "F for You" and performed with them in New York. A few months later, there was the release of the all-Blige soundtrack for the comedy Think Like a Man Too, which consisted of new material but was neither presented nor promoted like one of her standard releases. At some point, Blige signed to Capitol, and she took longtime collaborator Rodney Jerkins to England to work more with Disclosure, as well as with other emerging songwriters and producers, including Vibe cover star Sam Smith, Naughty Boy, and Emeli Sandé. The move was evidently significant enough to warrant the album's title and the placement of the collaborators' names on the cover. It's not that the changeup revitalized Blige. 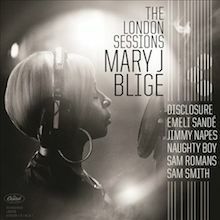 The London Sessions just happens to have her best round of songs, productions, and performances since The Breakthrough, the 2005 album Smith references in one of several unnecessary testimonials and interview snippets placed throughout the sequence of songs. A couple moments are stilted and there's some substandard songwriting, such as the woeful "I'll keep gettin' up, 'cause that's what I'm goin' to do/Gonna be the best me, I'm sorry if it kills you," from the otherwise fine "Doubt." The London Sessions nonetheless offers a sharp mix of duly aching ballads and substantive, highly detailed club tracks that are in the soul-rooted lineage of classics she has referenced, covered, and emulated throughout her career. Blige sounds as comfortable as ever over the scuffing percussion, prodding synthesizers, and even the noodling clarinet heard, at various points, in the likes of "Right Now," "My Loving," "Pick Me Up," and "Follow." The songs explore themes familiar to Blige's listeners, yet little is less than fresh. Among the ballads, the Sandé collaboration "Whole Damn Year" is the most striking, disarming in its depiction of recovering from emotional and physical abuse, while "Therapy," one of four songs made with Smith, is surprisingly understated, seemingly inspired more by Anthony Hamilton's Southern gospel-soul. 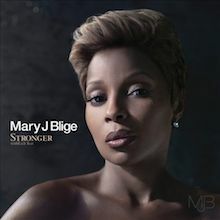 Eight albums into her career and comfortably settled into married life -- and, for the most part, herself -- Mary J. Blige continues to prove her versatility and strength, building off 2005's The Breakthrough, but not copying from it. Her increased self-confidence, some of which comes from confessing her all-too-human flaws, makes Growing Pains a mature, polished, and utterly professional set of well-crafted songs. Blige, as always, is in great vocal form: her clear, distinctive voice carries the record with its dips and swoops and cries, but the embellishments never get in the way of melody, never replace the meaning of words with excessive vibrato or melisma. Musically, in fact, the album takes an even greater step toward pop (foreshadowed, no doubt, by the cover of U2's "One" on her previous release), with songs like "Fade Away," which borrows heavily from '80s pop, and "Talk to Me," which is informed by classic soul and uses an Emotions sample underneath the guitars and keyboards, helping to set the overall tone. Blige certainly hasn't lost her title of Queen of Hip-Hop Soul -- the opening "Work That" is all swagger and affirmation with a great urban beat, the Neptunes-produced "Till the Morning" is funky and warm, and "Stay Down" takes a look back at mid-'90s R&B with rambling lyrical lines, including a fantastic reference to The Jeffersons, but she's opened herself up to more styles here, and successfully. She has been able to do what few others before her have: cater to her crossover audience without losing the essence of what she really is and where she came from, and so all of Growing Pains, from its upbeat beginning to its reflective, personal ending (though the last track, "Come to Me (Peace)" is the only real miss on the entire album), doesn't seem forced or calculated. These are strong songs, songs that keep hooks in mind, and while Blige's lyrics can occasionally border on cheesy -- like on "What Love Is," for example -- the very sincere passion she expresses, both in her voice and her words, is enough to erase, or at least fade, the platitudes, leaving only the emotion, the doubt and the love and the insecurity and the confidence and the talent, making for a very complete and satisfying listen. Stronger with Each Tear's first four songs are decorated like NASCAR vehicles, with IDs from the Runners and Akon, Rodney Jerkins, Ryan Leslie, Stereotypes, and T.I. all heard before the voice of Mary J. Blige enters the mix. 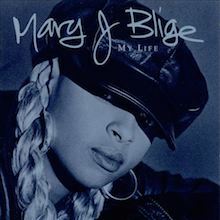 Sound logos and gratuitous self-serving plugs from producers and guest MCs are nothing new in mainstream R&B, but when an album by Mary J. Blige is dominated by them, in such an extended succession, a longtime follower’s minor irritation has the potential to turn to low-level rage. And while it is also understandable that the appearance of 2009 breakout star Drake on “The One” will help boost sales, the disparity is glaring; the MC was five years old when What’s the 411? was released. Trey Songz, featured on another track, wasn’t much older. Even when factoring these matters, Stronger with Each Tear is a very good Blige album, if not a classic. One of her briefest sets, it is tremendously (almost studiously) balanced between all the ground she has covered so well before. That’s no criticism, though, since most of the songs are easily memorable and display so much range. Those who detest “The One” on principle, for its use of Auto-Tune, need only to forward to the album’s final song, a quiet and sparse throwback (to 40-plus years ago) production from Raphael Saadiq in which Blige professes new love to chilling effect. Perhaps it was inevitable that Mary J. Blige would mature, toning down the raunchier elements of her persona that have been evident since her debut, while repositioning herself as a classicist soul singer. Even so, the sheer classiness of Mary, her fourth album, may come as a bit of a surprise. Blige made a conscious effort to create an album that recalled the classic dawning days of quiet storm yet worked as a unified, cohesive album. That meant that the more overt hip-hop elements have been subdued in favor of '70s soul. There's still grit in the music, but it's been glossed over with a polished production, and she now favors sophisticated songs, including material from such writers as Stevie Wonder, Bacharach/David, Lauryn Hill, and Elton John/Bernie Taupin. Some of these writers were collaborators and others contributed songs outright, but the amazing thing about the end result belongs to nobody else but Blige. It's different, to be sure, but still her -- and it's a rewarding, engaging way to mature. Blige's voice is richer and her skills have deepened, and her new songs, while not as streetwise, are worthy of her talents. Consequently, Mary is a thoroughly winning album. The hype that surrounded Mary J. Blige in the beginning was simply ridiculous. When What's the 411? was released in 1992, she was exalted as "the new Chaka Khan"-- a definite exaggeration, considering how uneven that debut album was. But Blige did show promise, and by the time she recorded her third album, Share My World, she had developed into a fairly convincing soul/urban singer. Her strongest and most confident effort up to that point, Share had much more character, personality, and honesty than most of the assembly line fare dominating urban radio in 1997. For all their slickness, emotive cuts like "Get to Know You Better," "Love Is All We Need," and "Keep Your Head" left no doubt that Blige was indeed a singer of depth and substance. Although high tech, the production of everyone from R. Kelly (with whom she duets on the inviting "It's On") and Babyface to Jimmy Jam and Terry Lewis doesn't come across as forced or robotic, but, in fact, is impressively organic. With Share My World, Blige definitely arrived. 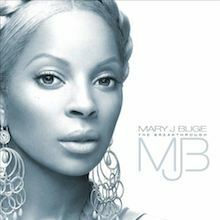 Perhaps the single finest moment in Sean "Puffy" Combs' musical career has been the production on this, Mary J. Blige's second proper album. The production is not exactly original, and there is evidence here of him borrowing wholesale from other songs. The melodic sources this time around, though, are so expertly incorporated into the music that they never seem to be intrusions, instead playing like inspired dialogues with soulsters from the past, connecting past legacies with a new one. This certainly isn't your parents' (or grandparents') soul. But it is some of the finest modern soul of the '90s, backing away to a certain extent from the hip-hop/soul consolidation that Blige introduced on her debut album. The hip-hop part of the combination takes a few steps into the background, allowing Blige's tortured soul to carry the album completely, and it does so with heartwrenching authority. My Life is, from beginning to end, a brilliant, wistful individual plea of desire. Blige took a huge leap in artistry by penning almost everything herself (the major exception being Norman Whitfield's "I'm Going Down") in collaboration with co-producers Combs and multi-instrumentalist Chucky Thompson, and everything seems to leap directly from her gut. Blige's strain is sleekly modern and urban, and the grit in it comes from being streetwise and thoroughly realistic about the travails of life. My Life, nevertheless, emanates from some deep, dark place where both sadness and happiness cohabitate and turn into one single, beautiful sorrow. A truly Mary Christmas would match the distraught look on the cover. 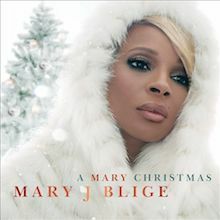 Blige's first Christmas album, guided by David Foster and Jochem van der Saag, doesn't feature sad or embittered chestnuts like "Christmas (Baby Please Come Home)" or "Fairytale of New York" (was Method Man busy?). Instead, it contains a mix of standard holiday songs -- a couple playful, many solemn, all dramatic. It's a big production; an orchestra backs Blige on most of the songs. She pours herself into all of the material, even when she's joined by Jessie J (of all people) for a version of "Do You Hear What I Hear?" that is overcooked. It could use a couple more joyous songs in the vein of Donny Hathaway's "This Christmas," which is a delight despite so many versions since the original 1970 version. A Mary Christmas won't likely reach the high status of, say, Mariah Carey's Merry Christmas, but it's a full-effort holiday release that many of her fans should be able to enjoy for several years. „Pure McCartney“ – die Reise durch Paul McCartneys Leben nach den Beatles!